CollegeClassroom.net is a free online platform that enables college-level instructors to share teaching materials. 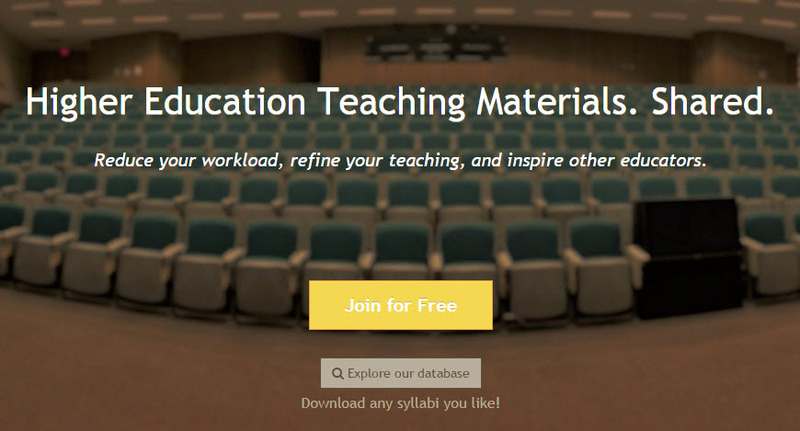 Users have reciprocal access to hundreds of high-quality, classroom-tested syllabi, assignments, and other information that can help instructors reduce class preparation, hone teaching skills, and inspire fellow educators. All materials uploaded to CollegeClassroom.net are peer-reviewed by faculty who teach in the same field. Users gain full access to the database once their own submitted materials have successfully passed this review. Registering and uploading a set of teaching materials for one course is a simple process that usually takes only a few minutes. This creative commons-oriented approach to advancing higher education is supported by the Uppsala Innovation Centre, a business incubator associated with Uppsala University and the Swedish University of Agricultural Sciences. CollegeClassroom.net receives additional funding from Almi Företagspartner AB, which is owned by the government of Sweden.